Learn and develop skills on the potter's wheel in an enjoyable, supportive environment! This class is also helpful for those with experience who want to expand their skill set. 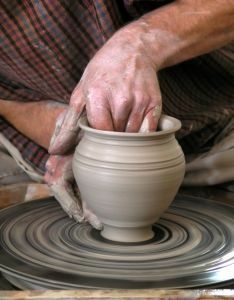 Explore pottery wheel techniques in our large studio. Tennis shoes or other closed shoes are required.